The Duke of Devonshire was one of the wealthiest men in England when he first constructed the Ballyrafter House Hotel, early in the 1800’s. This well built and visually stunning country residence was intended for his personal estate manager, and is a great testament to the courteous lifestyle of its original owners. The Public Rooms have 14 foot ceilings, decorative moulding, striking fireplaces, superior mahogany surroundings and luxurious carpets. The large windows also overlook the acres of garden and scenic landscape. You will find a peaceful residents lounge where aperitifs can be relished in front of our open log fire. Pop into the large dining area with its gleaming bay windows that overlook the large garden area. 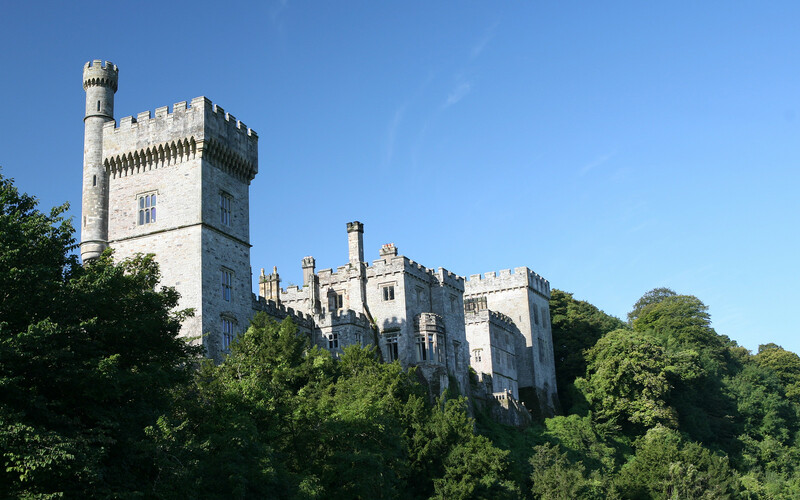 At night the window tables oversea the amazingly lit towers & bastions of Lismore Castle – a fairy tale that really is evident. 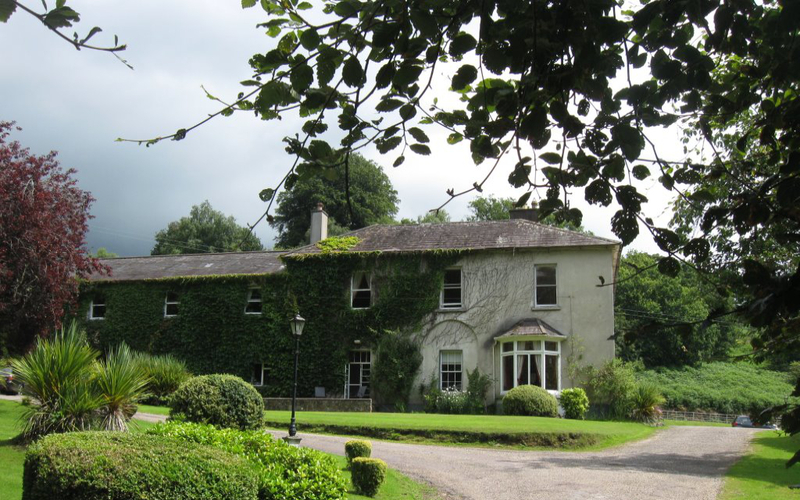 Though graceful, Ballyrafter House Hotel offers, in the very words of one writer, "unpretentious comforts". Our hotel doesn't feel stuffy, yet is warm and welcoming at the same time. The sun room/ conservatory and lounge area help towards this feeling of peaceful relaxation. Our excellent restaurant features fresh local foods and breakfasts, which are included with all bookings. Your welcoming hosts, Joe & Noreen Willoughby are always happy to share their understanding of the local area, love of cooking, fishing and of course their lovely home. The name Ballyrafter comes from Irish heritage "Baile an Reachtúir". This translate in English as, Home of the Rector, or The Provosts Land. In the mid 1500’s the Ballyrafter was part of a vast and popular church estate. In the year 1591, Sir Walter Raleigh leased the church lands out, and just over a decade later eventually sold the whole of the estate to a buyer named, Sir Richard Boyle, the showy "Earl of Cork". For many years the Ballyrafter was solely the commonage where the locals of Lismore grazed their cattle and sheep. A few years later in the year 1659 there were 69 full time residents in the local town. History tells us by 1850 the Ballyrafter House was built and the very first detailed government survey valued the property and ancillary buildings at just 23 pounds. This is in comparison to the average cottage which was worth around 1 pound (Sterling). “it’s wonderfully unpretentious, with that... unassuming, comfortable-in-its-skin gentility that the South-east pulls off so naturally."